Major Mergers and Acquisitions (M&A) in Molecular Biology – Who Owns Whom? 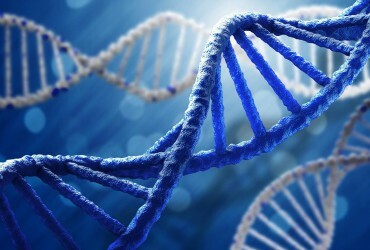 In the last 15 years life science research and workflows have been transformed by new techniques and lab automation. 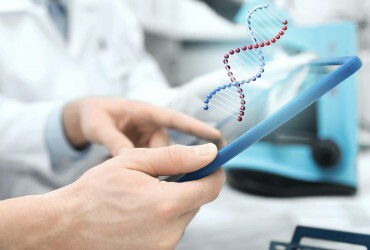 Specialized kits for a plethora of molecular techniques, as well as new gadgets such as electronic pipettes, automatized nucleic acid isolation, pipetting robots and most recently NGS sequencers have been adopted by smaller molecular labs. 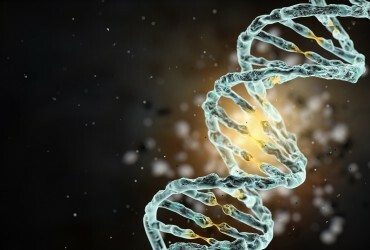 On the financial side we’ve seen that companies producing these products have made a lot of revenue and several new companies offering breakthrough technology, such as NGS or microfluidics, have made great strides in the market, and this has resulted in several huge company mergers and acquisitions. 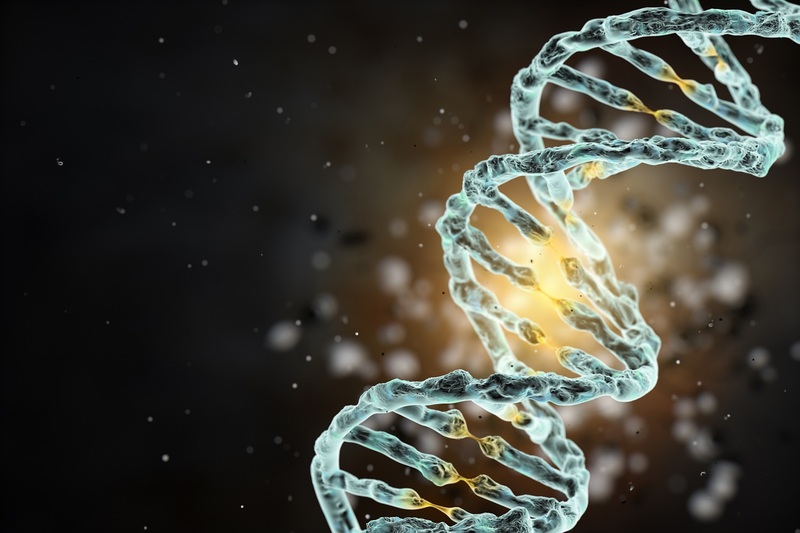 This article will try wrap up the most recent M&As in companies producing reagents and instruments used in almost any molecular lab, whether in academia, pharma or biotech (M&As in the pharmaceutical segment have been intentionally left out). Picture 1. Major players’ stock values in molecular biology instrumentation and consumables over the last 15 years (TMO – Thermo Fisher Scientific, SIAL – Sigma-Aldrich, ILMN – Illiumina, BIO – Bio-Rad, LIFE – Life Technologies and PKI – Perkin Elmer). 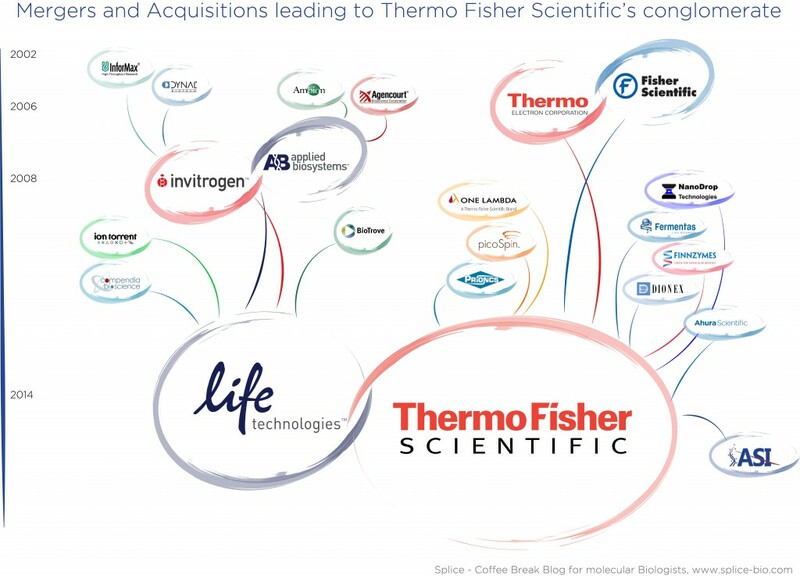 In 2008 Invitrogen and Applied Biosystems merged into “Life Technologies”, and this was followed by the 2014 mega acquisition of “Life” by Thermo Fisher Scientific. Prior to this Thermo acquired molecular biology reagents and instrumentation companies such as Nanodrop, Fermentas and Finnzymes. The acquisition of Sigma-Aldrich by Merck has been announced for mid-2015 and this will consolidate the chemicals market. Increased sample throughput and an accompanying increase in data output have also boosted the bioinformatics “industry”. Big companies have also been very active by acquiring prosperous bioinformatics companies in order to have the whole pipeline, from data generation to interpretation and storage, under their umbrella. It will be interesting to see how these M&As will affect prices for instrumentation, consumables and data processing.